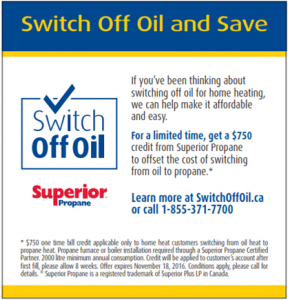 Switch from Oil to Propane: Superior’s Off Oil Program is Back!! Back by popular demand is the “off oil” program for 2017, offering savings of $750 when you make the switch from oil to propane. The deal only runs through 2017 October 31, so contact us now to find out if you qualify. 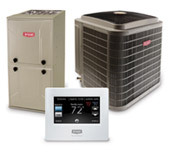 Save Thousands on Central A/C: Bryant Bonus is Back! We appreciated the expertise and friendliness shown by your installation group particularly Patrick who walked us through the system and addressed my 27 questions with lots of patience. I see that Bryant are asking for feed-back on our Bryant HVAC experience and I will be giving them a very positive reply to their request… I will recommend you to any of our neighbours who may need a similar system.